The successful freelancers do what they say they’re going to do, when they said they’d do it. This seems like such a simple point, right? You’re running a business. You have a client. You tell the client that you’ll do something. They give you money to do that something. Then you do it. If something comes up where you can’t or need to push the deadline back, communicate that honestly and politely. It’s a pretty easy formula. I like to think I’m good at my follow-through and communication, and feedback from clients supports that. But I can’t tell you how many times I’ve run across freelancers who can’t seem to grasp this concept! Whether I’m trying to find a someone to work with or cover for me on vacation, or hearing horror stories from clients about past freelancers, I’ve come across this Freelance Flake syndrome more times than I like. I honestly don’t understand it. For one thing, it’s just bad business. Unhappy clients means no repeat business or referrals, a tarnished reputation, or, at worst, legal issues. All big Not Good things from a business standpoint. This is not the path towards long-term success. It doesn’t make sense from a personal standpoint, either. How annoyed are you when a friend or a handyman tells you they will get X done by Y date, and then it doesn’t happen? Super annoyed! And if on top of that they just disappeared with no update or explanation, it’s even worse. So why on earth would you do the same thing in your own behavior? Don’t be that person! Bottom line: if you say you’re going to do something, then do it, in the manner and time you said you would. This goes for pretty much everyone, not just freelancers. 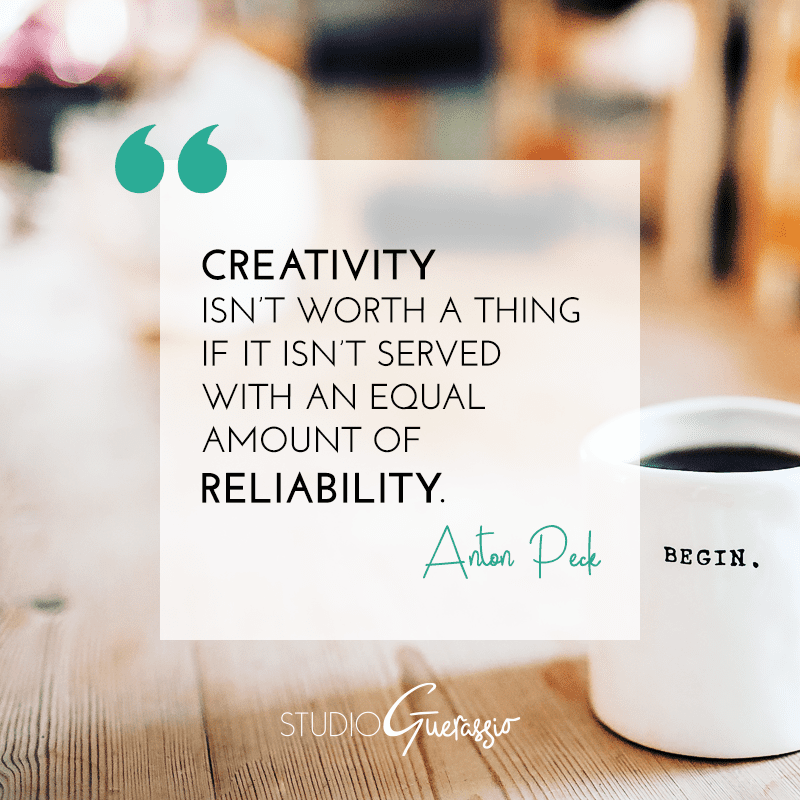 But if you’re running a business, even if it’s a business of one, reliability is one of the best traits you can aim for. It may be understated compared to things like creativity or charisma, but it’s still vitally important. Where do you fall on the reliability scale? Dependable or not so much?